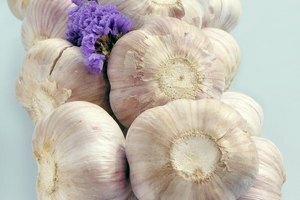 Garlic is one of those wonder foods that not only adds just the right spice to a number of your favorite recipes, but its healing benefits make it a powerful medicine for both internal and external use. Because garlic has natural antibacterial, anti-fungal and antiviral properties, it is a great way to treat and reduce acne scars. Wash your face with a mild cleanser twice a day. Make sure that you always use warm water when washing your face and then finish by gently patting the skin dry. 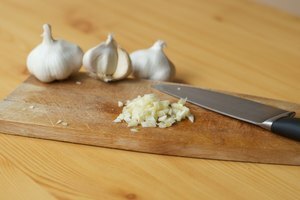 Grate a single clove of garlic finely and mix it with 2 tbsp. of water. Gently massage the mixture onto your skin after washing and rinse with warm water. 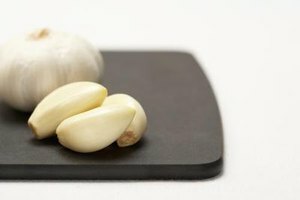 The garlic helps to exfoliate dead skin cells, gently removes the top layer of scarred tissue and removes any bacteria and oils on the skin which cause acne. Do not leave the garlic on your skin longer than 5 minutes before rinsing thoroughly with warm water. Treat yourself to a healing facial mask 2 or 3 times a week to help treat acne scars and combat future outbreaks. 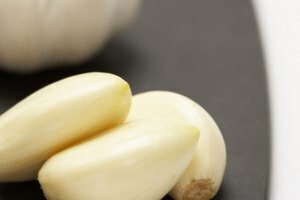 Crush a garlic clove and mix it with 2 tsp. of olive oil and 1 tbsp. of honey. Mix more if you are working over larger acne affected areas. Spread evenly over your skin and leave up to 20 minutes before rinsing with warm water. 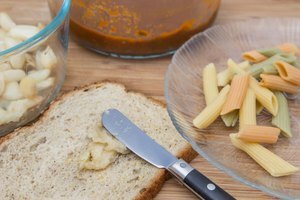 If you notice any burning sensation, rinse immediately and use less garlic the next time. Apply aloe vera to your skin after each and every garlic treatment. Because garlic can irritate the skin as it removes scarred tissue and also dry the skin as it removes acne causing oils, it is important to hydrate the skin. Aloe vera is your best option, as it will not aggravate acne while moisturizing, rather it will add an additional skin healing and acne fighting agent to your skin care regime. This may seem like a smelly way to treat acne and acne scars; however, when you thoroughly rinse it with warm water, garlic will leave no trace of smell on your skin.